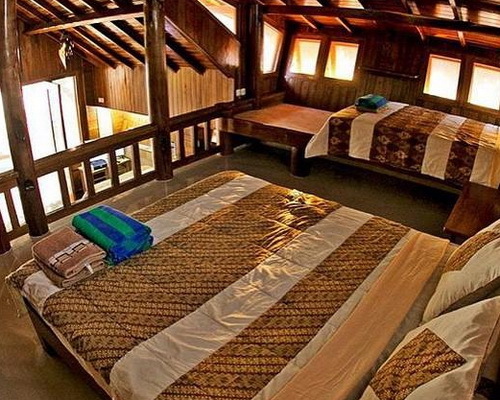 Tinuku ~ Istana Ombak Eco Resort in Watu Karung beach, Pacitan, East Java, apply the surfing paradise in the Indian Ocean which is exceptional pure design style architecture with tropical coastal culture featuring bamboo, wood, sandstone and wood palm trees in the ethnographic fisherman. 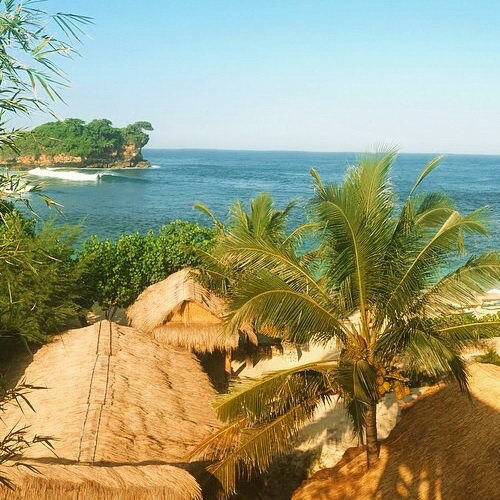 Istana Ombak Eco Resort which translates to 'Wave Palace' in Indonesian stand united in very beautiful bay with streams, coastlines and high cliffs, palm trees, fishing boats and the world's most powerful nirvana surfers. 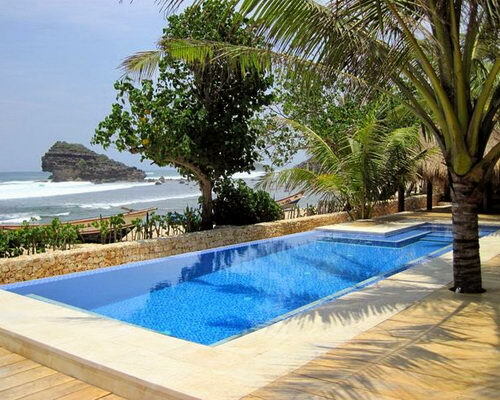 Pacitan is special surf sites that have incredible waves. Reef break beach type and seabed in the form of rock to produce barrel straight from heaven. Goofy style and natural surfer can ride boards because the beach has waves from right and left simultaneously. Resort occupies an area of 4,000 sqm with architectural design and interior decoration are built to integrate world-class surf culture and traditional culture in the tropical coastal environments produce unique works for everyone to enjoy the blue waves and warmth sand. 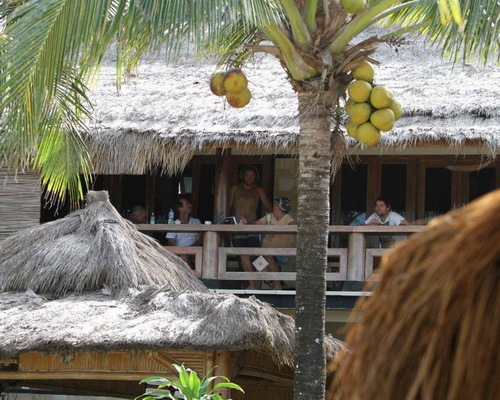 Outdoor rooftop using palm leaves coastal architecture characterizes combined with the interior roof using cutlet bamboo woven into sheets to produce the atmosphere of calm that blends into rural life of the south coast. Wall using raw materials terracotta-colored sandstone cut rectangular produces very distinctive natural texture to impress passive decor. Using white marble floor give luxurious nuance and to cool the room in tropical geography environment. 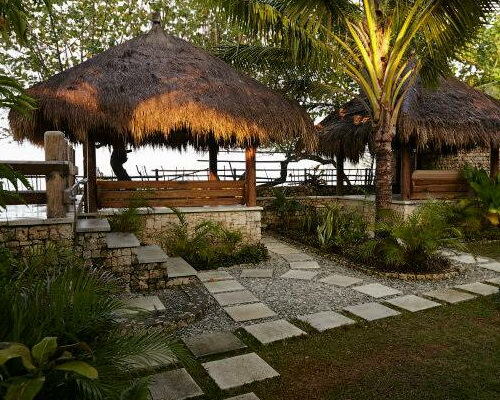 Semi-open public space designed using the pillars of the coconut tree logs. Outdoor rooftop is string of palm leaves, while the inner roof is sheet of bamboo woven placed on coconut wood mounted transversely to each side. Furniture dominated by pottery material, solid and plain wood, bamboo and rattan woven. 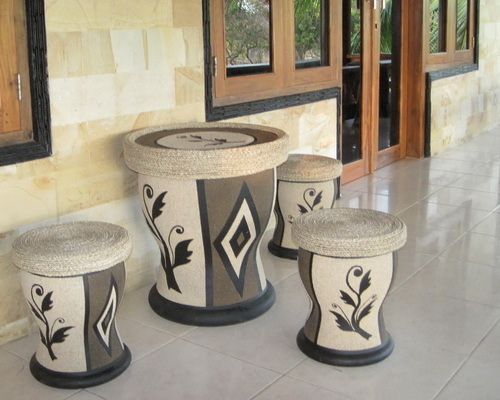 Tables and chairs are made of clay formed circle has very distinctive graphic decoration as the design of the works of pottery from Kasongan in Yogyakarta. 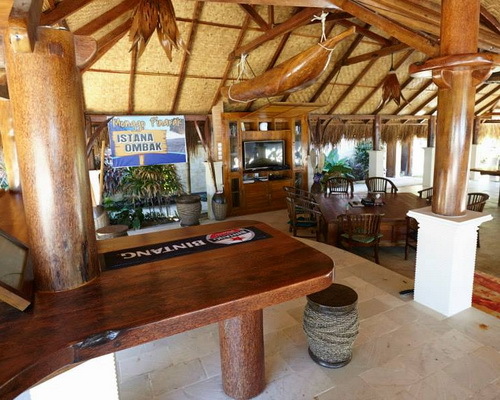 Traditional-style restaurant was not floored, so visitors can directly contact with natural sand. Room divider is plain rocks are piled as high as one meter. 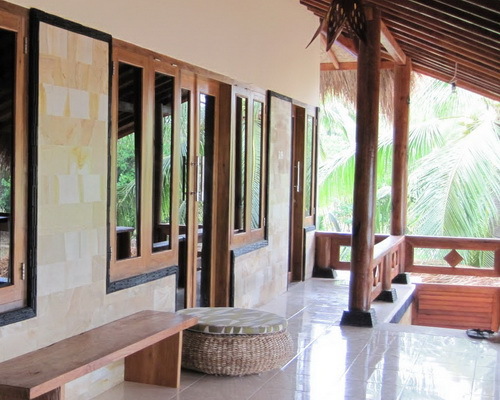 Chairs and tables made of plain wood rustic commonly in Indonesia. Bedroom nuanced Surakarta batik patterned dominant dark brown color. Artistic wall lamps flanking the black-white photographic work in framed. 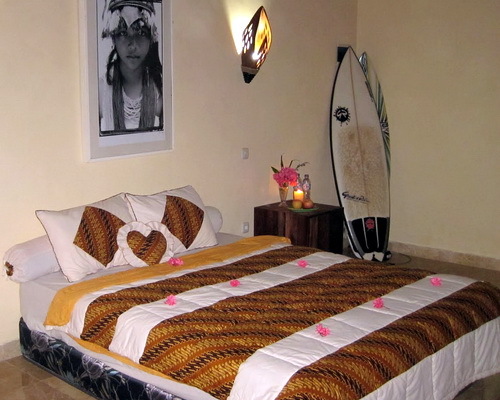 The corner rooms are placed surfboards as the identity of the main concept for surfers in the world's most powerful Indian Ocean. The bathroom is walled cream-colored marble, while the black marble flooring blends with round shape river rock to impress the natural atmosphere. Shower and pipes applying stainless steel material is cleaner appearance. Infinity pool, rectangular in the open directly facing the ocean panorama. Built of marble and natural stone complete with palm trees as living decoration on each edge. Traditional boats parked in front to impressive marine culture.